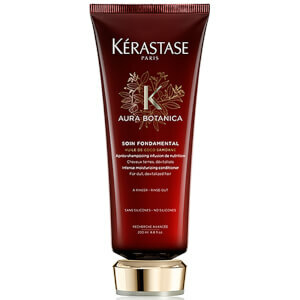 Transform limp, lifeless hair with the Kérastase Resistance Therapiste Bain, a shampoo with a unique jelly-like texture. Specially formulated with an innovative FIBRA-KAP™ formula to deliver keratin associated proteins (KAPs) to repair hair fibres and the internal architecture for healthy-looking, hydrated locks. Renews split ends and brittle strands by enveloping hair, increasing strength and protecting from further damage. E.N. Work the texture between your hands. Apply to wet hair and massage. Rinse off.